Lego has released some interesting sets in their Lego Ideas range, and I do have the Delorean and ECTO-1 sets. When this Voltron was announced, it was definitely a set I had to have just purely based on the nostalgia I have for the cartoon. I also wanted to see how they would tackle the set from an engineering perspective. Overall, I think Lego have some a pretty good job with the set. However for the price, I expected a bit more in terms of articulation and accessories. Click through below to watch my full video review over on the Kool Kollectibles YouTube channel, or scroll on down for some written thoughts! 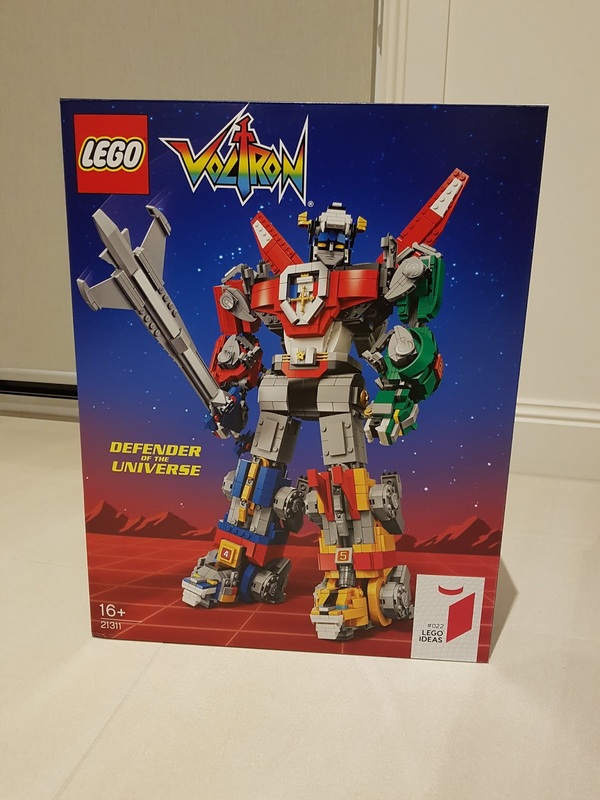 The box art certainly shows off the set to its best, with a great front on shot of the fully assembled robot. More photos on the rear show the lions and individual parts. 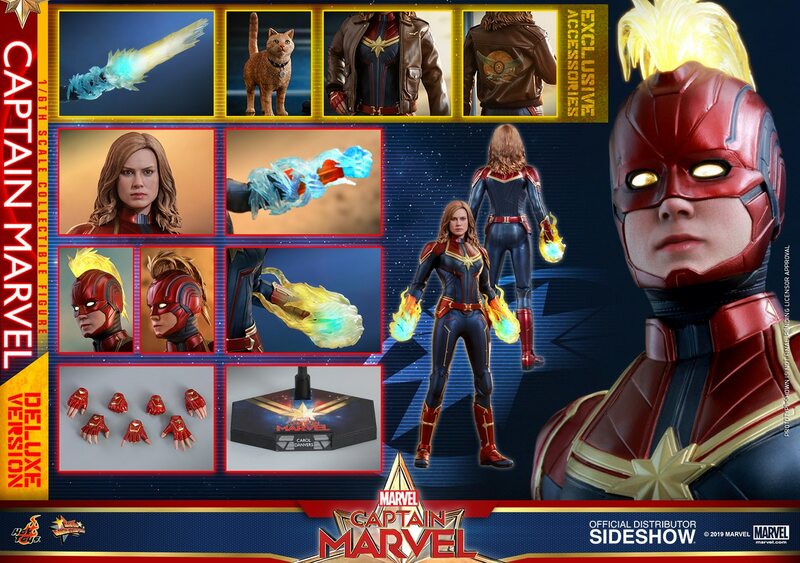 The biggest disappointment for me with the set is that it does not include any mini-figs at all. I would have thought at this price point, including mini-figs for the pilots would be a no-brainer! 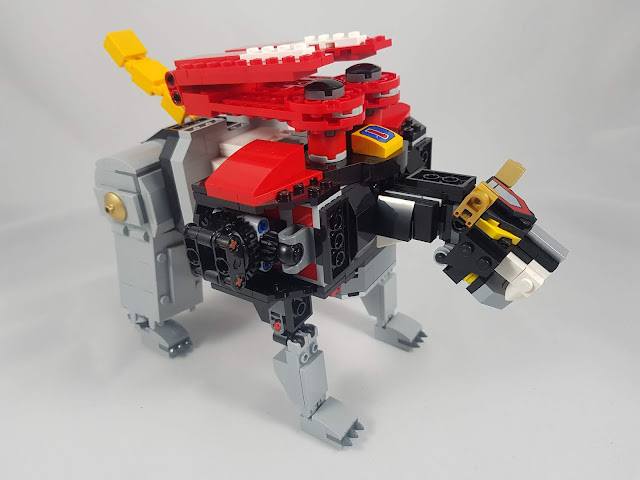 That would have taken the set to another level of collectibility, and it's a real shame that Lego did not include them. It's good that they separated the instructions for each lion with their numbered bags, so the build can be done concurrently with multiple people. I had my son and daughter help me out which they enjoyed. 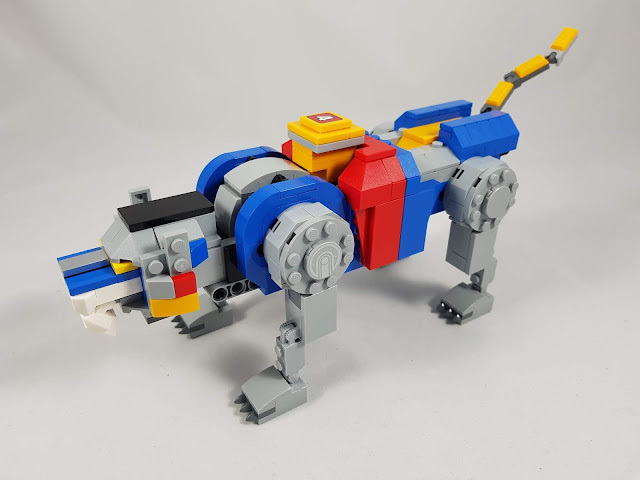 The builds for the yellow and blue lions are pretty similar as expected for the two legs. There are enough variations to keep things interesting. One thing I continue to hate is Lego's insistence on using stickers! On sets in this price range, full use of tamped on decals should be the norm, not bloody stickers! It's really disappointing that they use tamped on decals on some parts, but then make you apply stickers on other parts. For the legs, I do like how they built the heads of the lions, and the legs give some articulation. However I was a bit disappointed in the lack of any sideways movement in the head or torso area of the lions. The lack of movement in the head results in zero ankle rocker or pivot action in robot mode, which detracts from a more natural look in robot mode. 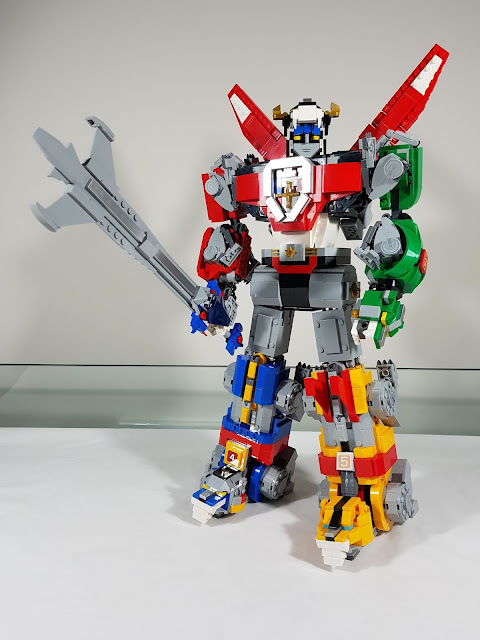 The red and green lions also have a similar build as expected for the arms. This time due to the elbow joint in robot mode, there is at least some sideways movement in the torso area of the lions and some head rotation. Again there are enough differences between the two to be interesting, and I do like the lion heads on these too. The black lion is definitely the most complex lion to build. In order for stability in the robot mode waist, there is no articulation in the rear legs of the lion. The legs are pegged securely into place, and have to be removed and repositioned for robot mode. 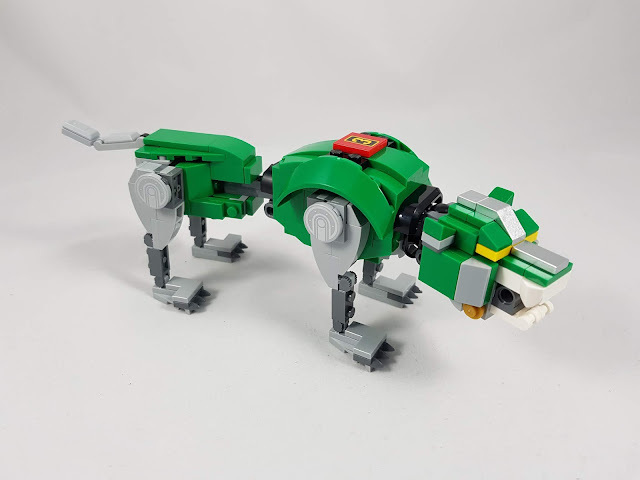 I was hoping to be able to pose the black lion sitting down on the rear legs, but that is impossible with the design. The front legs also have to be taken out and repositioned to form the chest of the robot, but at least the lion legs have some articulation. Still, the head movement is pretty lacking, so all in all the black lion isn't as nice looking as I hoped it would be. I do already have the Bandai Soul of Chogokin Voltron displayed in robot mode, so I might actually keep the Lego Voltron in its separate lion mode. 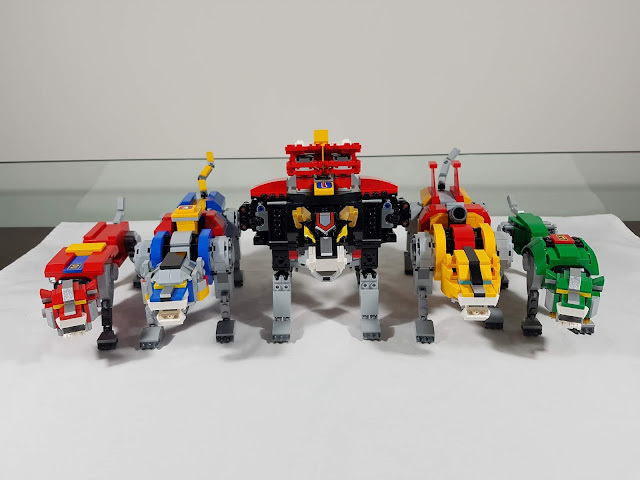 Together they do look decent, but some weapons from the cartoon would've been nice to have to display with the lions. In full robot mode, the size of the set really does become apparent. It's a towering set that is about 40cm in height. The robot head swivels side to side, and the head design is decent. The arms can rotate forward and backwards, but there is no ability to swing the arms out to the side at all. Even just a bit of sideways movement would've been nice to give a more natural stance instead of having the arms right down near the sides. As I mentioned before, the legs do not move at the waist at all, and there is no knee bending action either. This is a set that is purely for static museum display only. 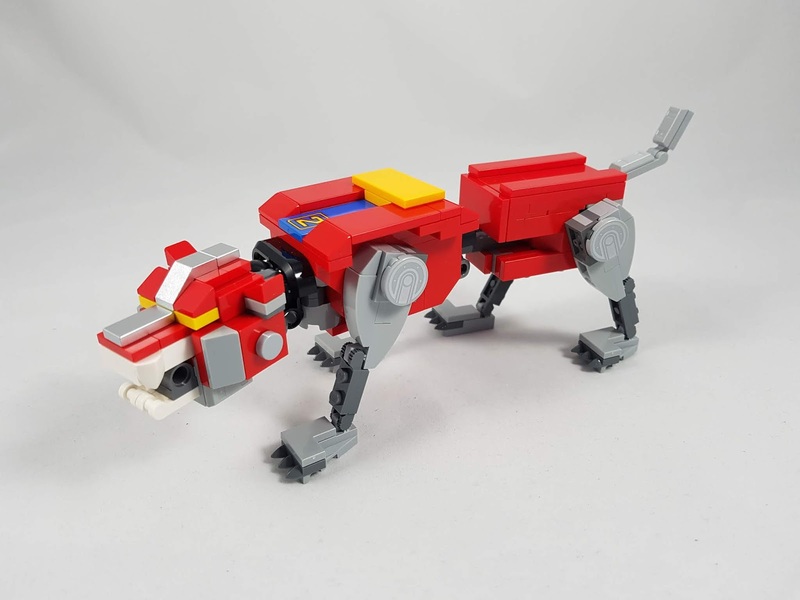 I really wish they had worked out a way to build in some ankle rocker motion so at least the lion head feet could be flat on the ground. As it is, the legs are fixed in a splayed position with the heads at an angle, which isn't a very natural pose. All that being said, the set does command a lot of presence on display because of its size. The silver paint app on the chest pieces are nicely done, and the sword is pretty nice too (although one side shows the back of the Lego pieces so it really can only be displayed from one side). 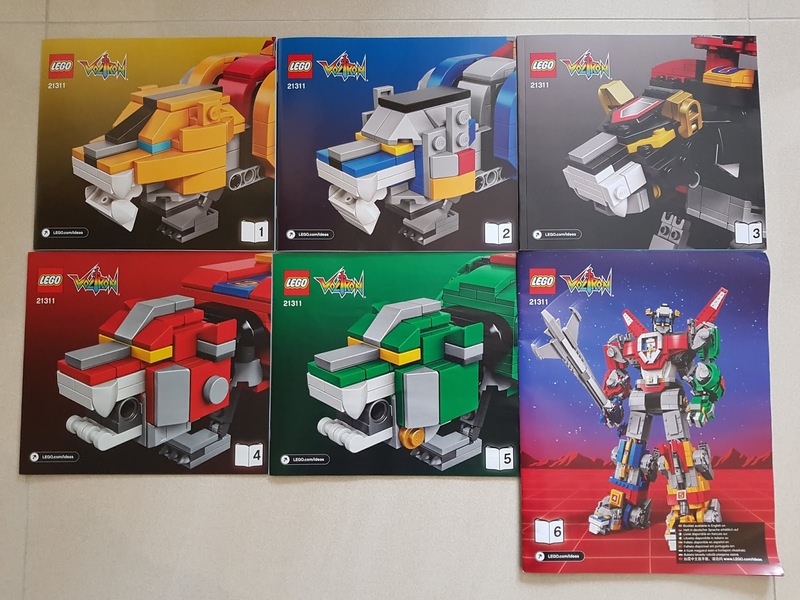 If you're a fan of the 80s cartoon and Lego, then this is still a set worth having in your collection. 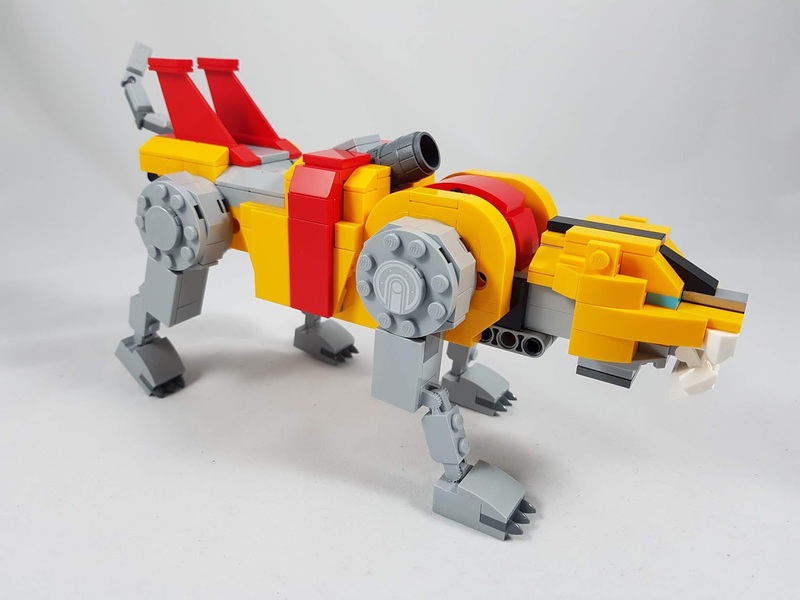 I do think Lego missed an opportunity to really make this a set for the ages. Just adding some mini-figs would've elevated this set to legendary status for me. But in the end, it's a great looking set that will stand proudly in many collections for years to come!